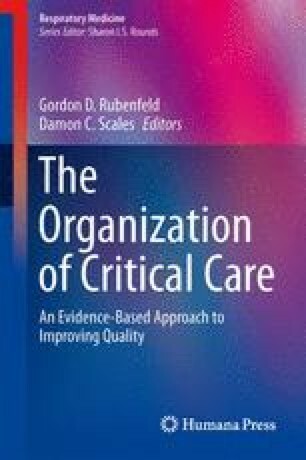 Comparisons across countries of critical care provide important information on availability of critical care resources, implications of triage decisions, and delivery of care in the intensive care unit (ICU) for critically ill patients. The variety of populations, resources, care patterns, and cultures create an opportunity to understand the impact of different care choices, and potentially reveal areas for focus for quality improvement. Comparisons across countries highlight the lack of a standard definition of an ICU bed. Large differences also exist in length of hospital stay and discharge patterns, with variability in the use of support facilities, such as hospice care and skilled nursing facilities. These differences reveal the need for appropriate outcome measures that are not skewed by such variation. Knowledge of provision of critical care across regions and countries may improve networks and facilitate both daily care of patients and disaster planning. Award Number K08AG038477 from the National Institute on Aging.